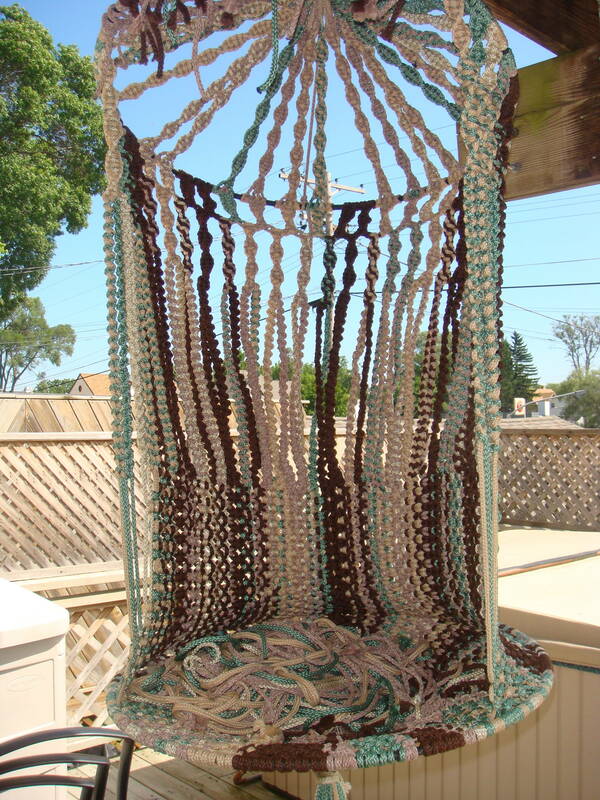 According to my WordPress Stats, someone is looking for a pattern on a macrame hanging chair. If you read my post from December 31, 2011, And It Begins… you will know that I did find the pattern for the chair I planned on making 30 years ago. It took quite a while to find it originally because I did a search using the words hanging chair, hanging macrame chair, but came up with nothing. Then I found in eBay the book that I used to have that has a picture of a woman sitting in the chair, wearing a bikini, next to other objects that you can making from this booklet. And there it was; they called it the Bird Cage, who would guess that. Today I re-visited the site where the free pattern was and found that it no longer exists. I will continue to look for the original pattern from 1977.